The polonaise is a slow Polish dance with a time signature of 3/4, the name itself is french for "Polish". 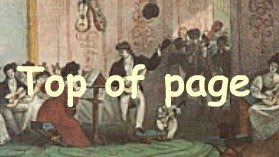 The instruction "alla polacca" on a score indicates that the music should played in the style, rhythm and character of a polonaise (e.g., the rondo in Beethoven's Triple Concerto op. 56). The rhthym of the polonaise is similar to that of the Swedish semiquaver or sixteenth-note Polska. The two dances have a common origin ("polska" means "Polish" in Swedish) . The Polish composer Frédéric Chopin is synonymous with the polonaise in classical music. Other classical composers who wrote polonaises or pieces in polonaise rhythm included Johann Sebastian Bach, Wolfgang Amadeus Mozart, Michał Kleofas Ogiński, Franz Schubert, Carl Maria von Weber, Robert Schumann, Franz Liszt, Moritz Moszkowski, Friedrich Baumfelder, Mauro Giuliani, Modest Mussorgsky, Pyotr Ilyich Tchaikovsky and Alexander Scriabin. The is widely danced in carnival settings. The German song "Polonäse Blankenese" from Gottlieb Wendehals alias Werner Böhm, is often played at carnival festivals in Germany. 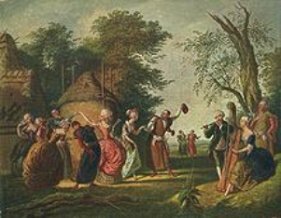 The polonaise can be found the studniówka ("hundred-days") celebration, which is the Polish equivalent of the senior prom, celebrated 100 days before exams. John Philip Sousa wrote the Presidential Polonaise in 1886 at the request of President Chester A. Arthur. It was intended to keep visitors moving briskly through the White House receiving line. President Arthur died before its first performance.